Small but perfectly formed, this miniature trio of gins makes an excellent gift! It's been a real pleasure to watch Edinburgh GIn grow into the respected brand that is has become. 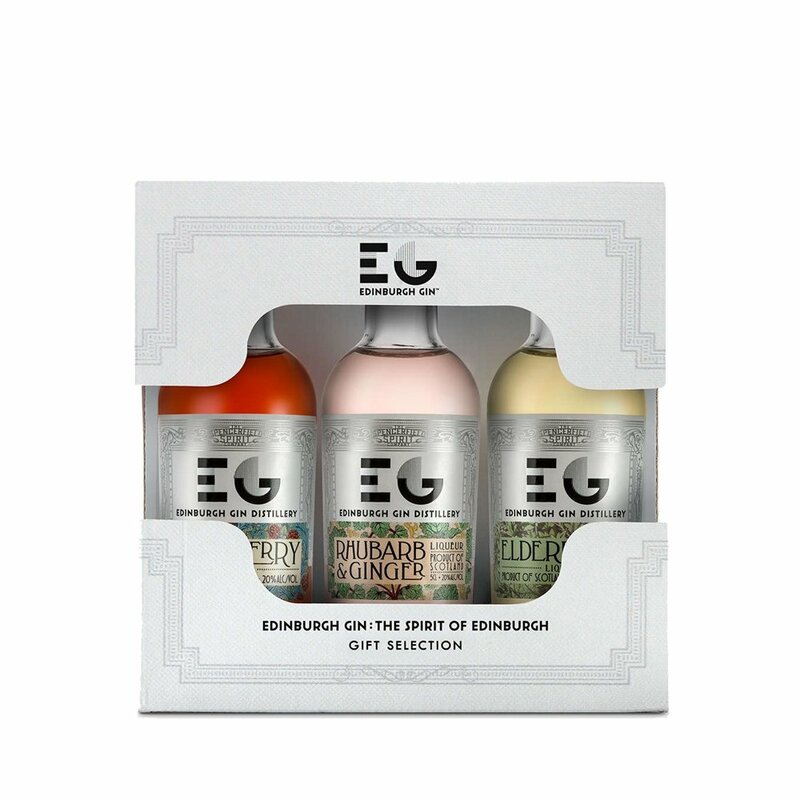 Featuring one each of the original Edinburgh Raspberry, Rhubarb & Ginger and Elderflower, it's a miniature tasting tour of our signature range. Nose: Rhubarb then ginger with a hint of lemon zest. Palate: First the rhubarb comes through, sweet and acidic, followed by the ginger which is strong and spicy. Finish: Sweet and well balanced to finish with lingering hints of ginger. Nose: Highly aromatic with floral aromas. Palate: Sweet but delicately so, with a hint of lemon. Finish: Lingering hints of pear, peach and grapefruit zest.